It’s hard to think of anything more “Midwestern” than “The Wizard of Oz.” Chicagoans have an affinity for the work and rightfully so. L. Frank Baum wrote The Wonderful Wizard of Oz while living here. The original 1902 stage production made its debut on a Chicago stage. We even have a park named Oz which features sculptures from the book series. 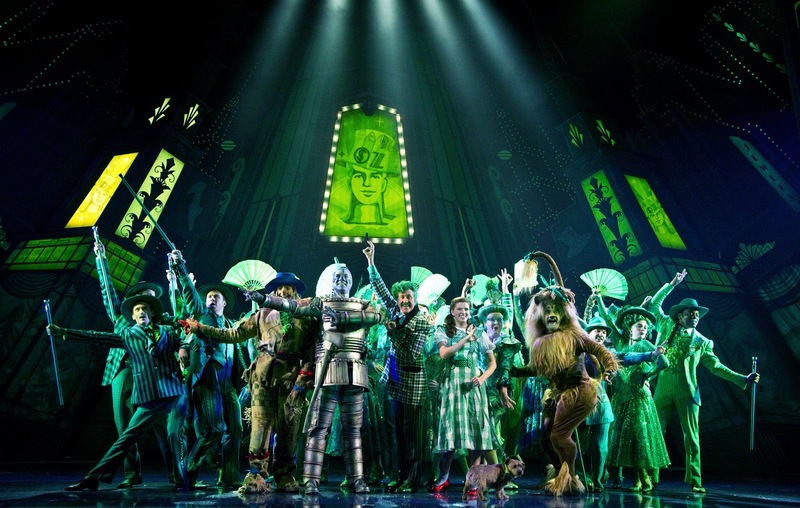 So, what to say about the latest revamp of the film-turned-stage musical “The Wizard of Oz” –a production in which the lone American in the cast is the dog playing Toto and Canadian accents are as thick as the air in a Kansas during the dust bowl? A show that features five mostly forgettable new songs written by a pair of Englishmen (music by Andrew Lloyd Weber and lyrics by Tim Rice) that fails to emulate the music stylings of the great Harold Arlen who wrote the film’s iconic score or the tone of E.Y. Harburg’s inspiring lyrics to the extent the new material sticks out like a pair of ruby red slippers on a sepia-toned Kansas farm? Dorothy, you’re right. You’re not in Kansas. You’re in Toronto after a layover in London’s West End. That’s not to say they don’t have farms in Canada (or, for that matter, England). And yes, there is something universal that many journeys end with the realization that everything you are looking for can be found at home. I’m certainly not a flag waving American. My dad’s family hails from the Great White North. The production which opened on Thursday at the Cadillac Palace Theater felt to me more like a traditional English Panto than it did with live theater. There was far too much slapstick, buffoonery and sexual innuendo. 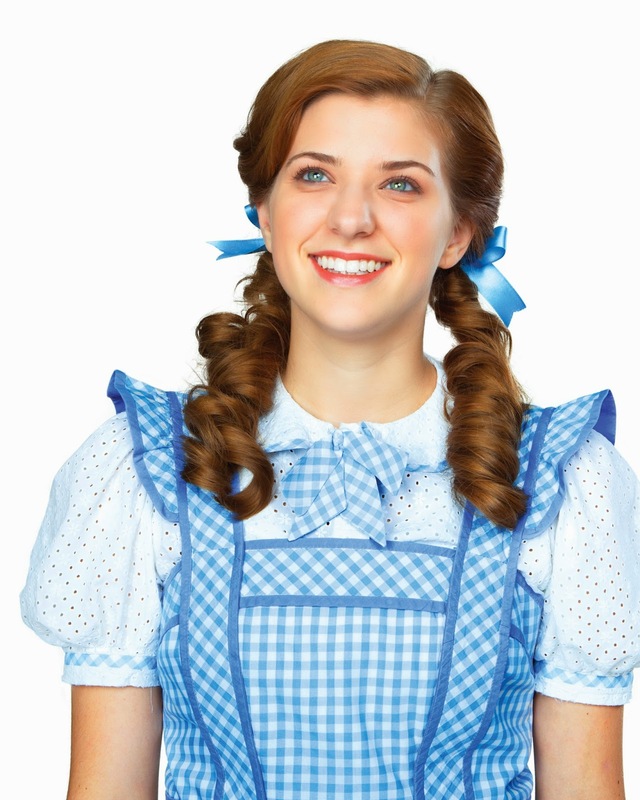 The show’s Dorothy, Danielle Wade, is likeable enough. Her portrayal is unique enough that you don’t feel she is every impersonating the film’s original star, Judy Garland. She belts the heck out of “Somewhere Over the Rainbow” and her longing for something beyond the world she knows feels earnest. It’s perhaps no surprise that she feels very at home in the role, seeing as she won the lead after appearing on the CBC reality show “Over the Rainbow” that had Canadian gals competing for the role in an “American Idol” style show. 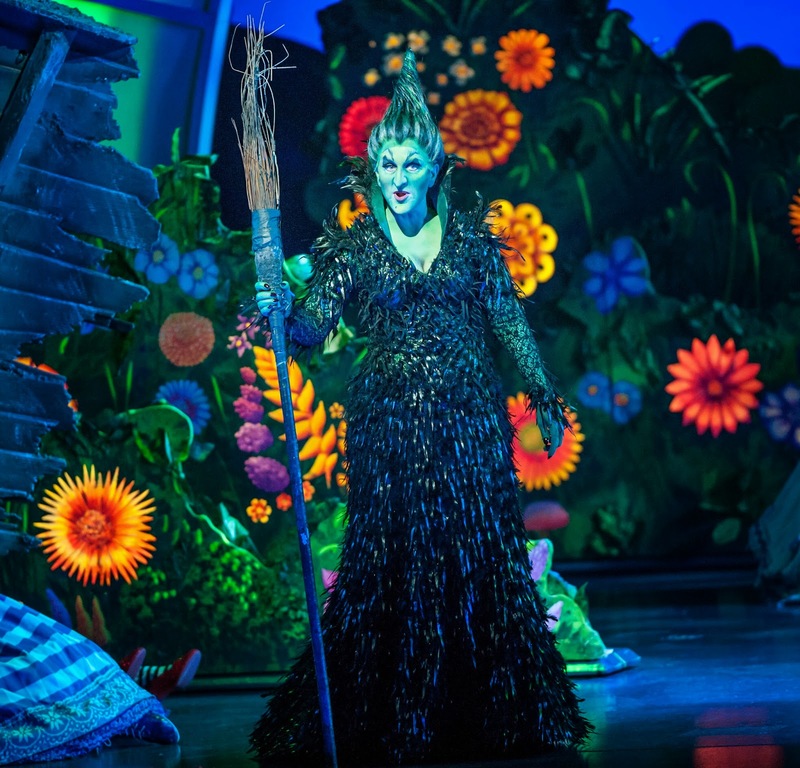 The witches (Robin Evan Willis as Glinda and Jacqueleyn Piro Donovan as the Wicked Witch of the West) are painted with too broad a comedic stroke. Gone are the nuturing, motherly Glinda and the frightening Wicked Witch from the film. Gone too is the noble Scarecrow. Poor Jamie McKnight has to play the strawman as an imbecile who can’t even remember why he has embarked on a quest to see the Wizard. Worst of the night is Lee MacDougall’s swishy lion that would make the likes of Paul Lynde look butch. A joke about the lion being “a friend of Dorothy” –a dated euphemism for “gay” that references either Judy Garland’s character or, as some scholars have argued,the late humorist Dorothy Parker—fell flat on Thursday night. The portrayal is neither witty nor camp. What were they thinking? 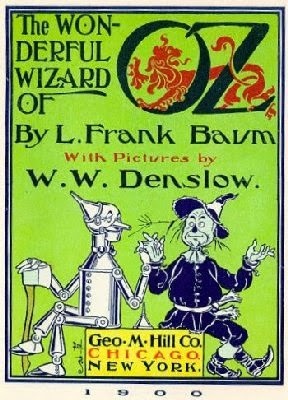 Simply put, the brains, heart and courage seem to be missing from this tale from America’s heartland and not even the Wonderful Wizard of Oz (a regal Jay Brazeau as both the all-powerful Wizard and sideshow huckster Professor Marvel) can seem to fix it. “The Wizard of Oz” runs through May 11 at the Cadillac Palace Theater, 151 W. Randolph. Tickets $18-$105. 800.775-2000 or www.broadwayinchicago.com.